The Farmhouse lodge is located 48Kms from Bulawayo on the Matopos road, in the heart of the Matopos World Heritage site. 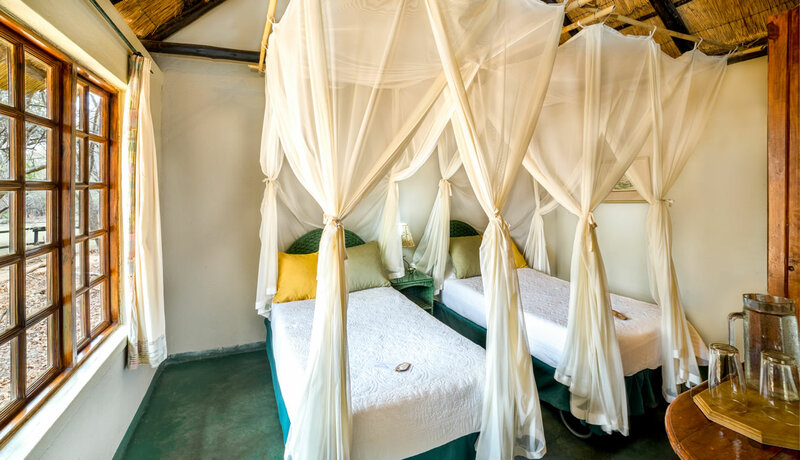 Both the Farmhouse lodge and restaurant provides the ideal location from which visitors can discover the many natural wonders of the Matopos. Guests can participate in the many activities offered at the Lodge or arrange their own trips in the area. Guests are accommodated in 12 thatched, Cape Dutch style cottages, which are built on the fringe of a majestic granite outcrop. Each individual cottage has a twin bedded, bedroom, en-suite shower, toilet and wash-hand basin, open plan lounge with tea/coffee facilities and fridge. The private property has undergone a redevelopment program which included the introduction of additional Wildlife species. Granite Ridge Wildlife Reserve now offers an upgraded Farmhouse Lodge, World View Campsite and a new range of activities. Activities like Abseiling will enthuse the more adventurous, whilst a leisurely Sunset Game Drive gets you to relax and soak up the scenery. The Farmhouse guests are accommodated in 12 thatched; Cape Dutch style cottages, which are built on the fringe of a majestic granite outcrop. Each individual cottage has a twin bedded, bedroom, en-suite shower, toilet and wash-hand basin, open plan lounge with tea/coffee facilities and fridge.